Pope Francis continues to stir the pot on issues facing the church and wider society. His strategies for influencing the discussion of the environment at the September Climate Summit and the discussion of the family at the October Synod have been evident in recent weeks. In recent weeks, Ban Ki-moon, the Secretary General of the United Nations pleaded with him in Rome to to support action to address climate change, and the Vatican hosted a seminar on climate change and development. Before the UN-led Climate Summit, at which it is hoped binding targets will be set, Pope Francis will issue an Encyclical Letter on the Environment and address the United Nations. Opponents of action on climate change have also been mobilising to neutralise any effect the Pope's interventions might have. Francis' recent comments on marriage and women's rights can be read in the light of the October Synod on the family. His most interesting and trenchant remarks were on women's rights. He went on to reflect on the decline in the number of marriages in many parts of the world, remarking that 'many consider that the change occurring in these last decades may have been set in motion by women's emancipation'. He considered that view an insult, and untrue, declaring that the attempt to lay the blame for fewer marriages on the struggle for women's rights 'is a form of chauvinism that always wants to control the woman'. The place of women in society and the struggle for women's rights are important background issues in the Synod. To insist that women and men should receive the same remuneration for similar work is not radical. But the assumption that women will normally work is not universally shared among Catholics, including delegates to the Synod. Some believe that ideally women would be able and want to work at home and care for their families. The Pope is realistic in assuming that many women will need and want to work. He hopes that the Synod similarly will address the realities of family life, and offer encouragement and compassion to people in their struggles. In insisting that the diminishing number of marriages does not flow from women's struggle for rights, Francis takes a position on another underlying issue of the Synod. Some Catholics have traced the troubles of families to a pervasive secularism and to radical feminism. This view naturally inclines those who hold it to demand that the Synod take a strong stand against these currents of thought. Francis' remarks undercut this analysis and reassert the need to reach out to people on the margins of church and society. In asserting his support for women's right to equal salary and other rights Francis ensures that further questions will be put to him. As the battle for equal pay is being won, another war is being lost. The foreshadowed discrimination against non-working mothers in child support makes it clear that women are coming to be valued purely on their contribution to the economy. This subordination of human beings to the economy, so destructive in Australian public life, should be central to the Synod's deliberations on the family. In Western societies, too, the acceptance of the right of women to work and to equal pay has been built on their full participation by being able to vote and to be voted for. If the Catholic Church is to have credibility in endorsing the continuing struggle for women's rights, it will need to find effective ways in which women can participate equally in the governance of the church at all levels. Although this is not an immediate priority for Pope Francis, he is ensuring that it will become so for his successors. The church, in general, has not in the past (and this continues in the present) endeared itself to feminism. There are strands of the Anglican church which continue to espouse male headship, both in the church and in the family. And the Catholic church is still considered by many to be the most patriarchal institution on earth. In marriage, most couples reach a form of compromise regarding work and family responsibilities. In reality, this means that both partners have to work together in being sensitive to sometimes quite different individual perspectives. The church, in helping families, needs to be aware that 'one size does not fit all'. Some women want to participate fully in the workforce, while others are content to combine part-time work with family responsibilities. Still others, work solely within the home It is heartening that the Catholic church is discussing this issue. Pope Francis' words disturb me greatly. He defends women's equality, demanding equal pay for equal work, and that they're not to blame for the state of marriage. I should welcome those words, but I remain suspicious. How can I trust his words given that he speaks from the apex of a global and powerful organisation which sustains patriarchy and even suggests it is godly. Such patriarchy has worked to denigrate women's bodies, sexuality, intellect and spirituality for millennia. Today, that structure remains embedded in the Church, limiting women from getting equal pay for equal work. Because at the moment, despite women doing the bulk of work to sustain parishes and Church, they get neither. Because they’re not equal in the Church, their experience, training and devotion remains unacknowledged, under-utilized and under-valued – and, thus, their pay is not equal. Then there is marriage. Wives are still, according to the Church, subordinate to husbands. Space prevents elaboration on this matter of inequality, except to say, it contributes to an unspoken rationale in the workplace that women are not to be empowered with equal pay. What I really want and need from Pope Francis is less preaching and more practice. Andrew, you say that women's participation in the governance of the Church is not an immediate priority for Francis. Again, we have to wait for the Patriarch to tell us when we are allowed to be full members of the Church instead of being associates! Pope Francis says a lot of things which need to be said, but unfortunately there is no action to date. I will believe in the equality of both women and men when women at last can take their place as full members of the Church by full participation in decision making and ordination. Until then, Catholic women will still be "the invisible presence" of the Church. Francis used the term "radical Equality" in marriage; that is revolutionary for the Church, though less so in Western society for 50 years. Although vital. it is not easy to achieve with the baggage men bring culturally with them; but without it there is huge stress in modern relationships, which probably does make marriage impossible to achieve for modern women (and men ). Incorporating this radical Equality into Church culture and structures at all levels is one of the main challenge that the now church faces, and it has lost so much time with its head in the sand over the last half a century. As the ancient professions. such as Law and Medicine, have learned, you have to start by a developing a working environment of respectful female participation, then it becomes remarkably quickly "normal". This is not about women priests (at least for now) but the placing of women at all levels into positions of influence and authority. Why not headships on dicasteries in Rome for qualified women? And cardinal appointments for senior nuns? Canon law can be changed to allow all that. Pope Francis condemning wage inequality for women is akin to Tony Abbott bemoaning Indonesia's intransigence on the death penalty - while announcing that he is 'sick of being lectured to by the United Nations' on human rights issues. You just can't have it both ways. Pope Francis' words would resonate far more deeply if he were not the head of such a fundamentally patriarchal organisation. Andrew, you comment that this is at least a starting point along the road of changing the governance structure of the church. I'm afraid it's just too little, and far too late. The women who wanted to walk that road have largely left it, to find other faith filled, but non misogonist paths. I reacted with anger to your article Andrew, and had to take a moment to understand why. I realise it is because its so hypocritical for the leader of the Catholic Church, where women was so unequal, to be preaching about women's equality. What a sad place we have come to in the abandonment of Christ's teachings, and the replacement of the divine by the human. People don't marry today because they have not found true love which is consummated by the instinctive human desire to replicate the object of love for another in producing a child. The "love" of the modern world is sexual gratification which is attainable without marriage and irrespective of the object of the so-called love, even when the object of the love is incapable of replication through the sexual union. 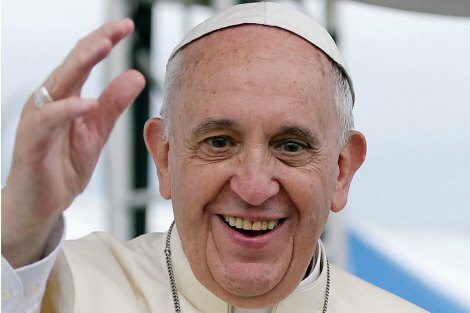 I think Pope Francis is fantastic and great for the Church but if he is to be taken seriously on the issue of equality of the sexes he might start with examining what "rights' women don't have in the true Christian Church in its purest form - known as Catholicism. Might also be interesting to entertain some examination of where these human rights come from, who dishes them out and what are the obligations attached to them by the recipients. Some might suggest that Christ as God-creator of the human being has already defined human rights and has defined through his teachings how those rights are to be exercised by individual human beings. Love is the greatest of all Christ's messages. Western civilisation has reserved love for self and bugger everyone else. Women who work at home as mothers and homemakers have always worked - HARD. This work has never been valued as part of the economy. Soon if women are not going out to work they will be punished as are the unemployed. I thought that by now men would also be able to make the choice to become the unpaid worker in a family, but this is something not accepted in our culture even when the woman might have the skills to be much more useful to our common good in the paid workforce. Something to think about. "the attempt to lay the blame for fewer marriages" - interesting use of the loaded word 'blame', rather than just say one leads to the other. Should we care so much about marriages? Fewer married couples are having children and the many people who think we are heading to dangerous over-population would welcome that. Perhaps the Church needs to think how, in these changing times, all sorts of people can live in all sorts of ways, such that they are able to love and be loved.
" If the Catholic Church is to have credibility in endorsing the continuing struggle for women's rights, it will need to find effective ways in which women can participate equally in the governance of the church at all levels.".... Equality does not mean identity. Each gender has many different functions. Theses are meant to be complementary, so that the total general outcome is as close to the ideal as possible. This may need a refinement of what each gender has 'rights' to. Probably a restriction of what men fancy they are entitled to, and an expansion of what women should receive. But it should not be restricted to considerations of an economic nature, or of any purely physical attributes. Since Rome and feminism are dogmatic entities, progress will depend on what the Synod is agreed to achieve. Once that is decided the invitees and the processes can be agreed. Good problem solving requires "getting the whole system in the room" so there ought be proportional representation of men, women and children. What is harder to decide is the ideal proportions of religious women and men to lay people who have lived experience of family life. Andy, you saved the real message for the end. Put more bluntly, Francis has little credibility in endorsing the continuing struggle for women's rights while the institutional Church continues to discriminate against women. This IS an immediate priority for Pope Francis. He has made a lot of welcome statements. It’s past time he started to walk the talk! I fear that the Catholic Church has lost the talents of half of the population by not ordaining women. My three talented , adult daughters are some of those working other fields and making a very real contribution to society. If I were a careers advisor to women, I don't think I'd be advising priesthood as a great option (even if the Catholic church were to allow female ordination). From what I hear it's not a great money spinner, not so great for the economy, and not the best family-friendly career. Hard as it may seem to the Curia of the Catholic Church, we (THE CHURCH ie its members) do need to IMPLEMENT "effective ways in which women can participate equally in the governance of the church at all levels" as you so rightly write, Fr Andrew. Well said ! In modern market economies, women by and large receive equal remuneration as men, to the best of my knowledge. That's if we factor in all the variables (eg occupational segregation). This is the case, for example, in Australia, especially among the lower paid there is no gender gap. (see research by Baron and Cobb- Clark) The only gaps appear among the very highly paid. Especially in the public service, which is surprising, given the massive lip service successive governments have paid to this alleged issue. But even in the highly paid sectors, there are perfectly natural reasons why women tend not to choose the top paying occupations. What the Pope should be addressing is not some possibly non-existent "gender gap", but the vastly more significant per capita wealth gap which exists, for both men and women, between flourishing market and autocratic non-market economies. The Pope and the church could assist women's plights substantially by accepting women priests and an end to the celibate. While I welcome the Pope's willingness to raise issues of women's equality, I am cynical that discussions and decisions relating to this may be confined to the 'holy men' who lead the church. Until women in all their differences and similarities are included as equals at the table then I despair that women will continued to be denied their full humanity, which of course includes their sexuality and fertility. Women's lives will continue to rely on the 'graciousness' of men 'allowing' them to become whomever God has made them to be. I appreciate some of the comments above. However, the church must witness and lead the way and address the issue internally if it hope to have any influence on the issue of women's rights in the wider world. Dear Pope Francis, I applaud your caring words for women's rights but please look at the elephant in your basilica - your workers, exnuns and their plight see Vic Women's Trust Annual Report 2013-14.